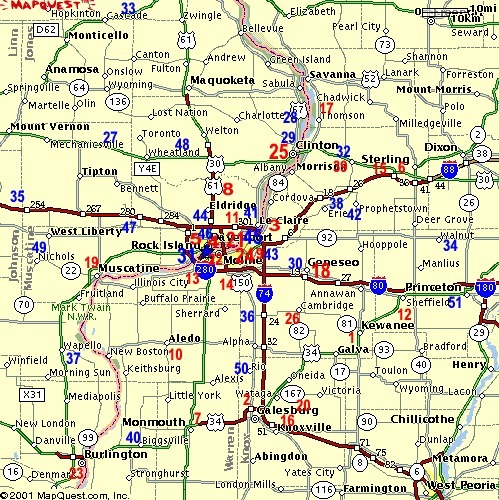 Use this map for courses outside of the immediate Quad Cities Area. Just CLICK on the numbers on the map to go to that courses main page. Red numbers are for 18-hole courses and blue numbers are for 9-hole courses. For a course listing go back to the previous page.